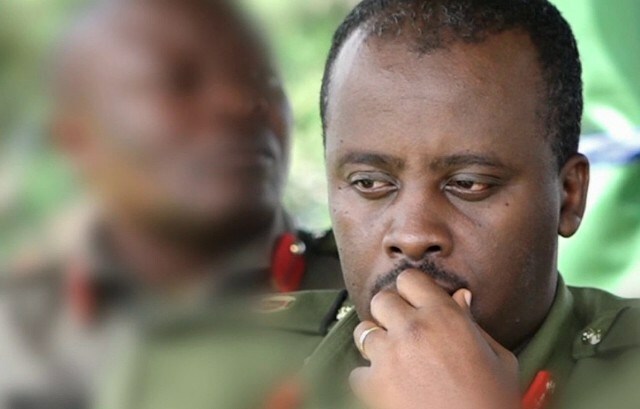 KAMPALA – The Chief of Defence Forces (CDF), Gen David Muhoozi, has blamed the rising spate of shootings during demonstrations on protesters who provoke armed security men. “Don’t dare the security men. Someone has a gun; why would you confront him with a stone or a panga? We have laws such as Public Management Act (POMA) that guide protests,” Gen Muhoozi said at a joint security media briefing at the police headquarters in Naguru on Saturday. The CDF was referring to the Arua chaos on August 13 that led to the shooting dead of Yasiin Kawuma, the driver of Kyadondo East MP Robert Kyagulanyi aka Bobi Wine. Several other people sustained gunshot wounds in the incident. Gen Muhoozi instead asked politicians to guide the youth on the procedures to follow during demonstrations. He said politicians often take advantage of the youth’s naivety to lure them into violent demonstrations. The joint security media briefing was attended by, among others, Inspector General of Police Martins Okoth-Ochola, DIGP Muzeeyi Sabiiti, CID director Grace Akullo and police’s medical director Moses Byaruhanga. The CDF also said army will at an appropriate time make public the names and images of soldiers arrested for beating journalists and unleashing torture. Mr Ochola added: “We have codes of conduct in police and once it comes to my notice that you have breached them you are punished. However, public should also stop attacking officers with guns. You attacker an officer who has a gun and you expect him to do what,” IGP Ochola said. Prisons Commissioner General, Dr Johnson Byabashaijja said the three different tests conducted on Mr Kyagulanyi proved he was in good health. “We took Hon Kyagulanyi to Lacor Hospital and the tests proved he was in good health. He only complained of some pain in his leg and we expect it was scratches he got when he was engaged in a brawl in Arua,” Dr Byabashaijja.